press both the Ctrl and letter F keys. Hi I'm 6'4" (1.93m) myself and understand your point ;-). I'm about 85 kg, don't know about you. I only started paddling (sea kayaking) last year and I find there is obviously no problem for most of the stuff, e.g. buoyancy aids, spray decks, helmets etc. (I find all shops near Liverpool fine and sometimes have good sales racks with good value). Everything with arms and legs is a matter of trying it out. I ended up with a PeakUK Long John (wetsuit) Large; the legs are a tad short but that's fine, it's more important that it's not baggy around the body (for warmth). My cag is a (Yak) XL which is fine for arm length and just a bit baggy around the trunk but that doesn't bother me (the buoyance aid keeps it in place). For a drysuit, I just ordered a made-to-measure one, a Typhoon Multisport. They charge around �100 extra for made to measure, but a dry suit is expensive anyway, so better have one that fits. There are no standard sizes that would come near to suiting me. It seems that if you're tall, you're also supposed to be obese (or extremely muscular ;-) I'm neither!) Rubberman, Aquatek and probably a few others also do made to measure drysuits. My paddle is a 2.15m Werner (Cyprus). I know quite a few sea kayakers of our height and they all use 2.15m paddles for sea kayaking. My spare paddle is 2.20 and I find it doable, but a bit long. So, at least for paddles we don't have a length problem :-). How broad are you? I'm 122kg and 191cm and I've had no problem with palm xxl gear or peak xxl (latest stuff is biggest size xl as their xxl was massive!) however, my playboating BA is my old one which is a m/l. Swings and roundabouts really best to go the shop and try gear on till you get an idea of what you want. Several shops are around on the Internet and two are local. Unit 14-15 Rufford Court Woolston, Warrington , North WA1 4RF 01925 818437 these guys are moving soon (but will still be close to where they are now) best to give them a call. United Kingdom 01928 710770 can be difficult to find if you're sat nav is like mine as it takes you the wrong side of the marina, so I've attached their number too in case you get lost. I think the club still has 15% discount with both of these stores, maybe someone could confirm? Most paddling kit in go kayaking is peak uk gear (they have various brands of shoes and helmets and also stock Pyranha decks) So for a better range go to Manchester canoes, although I'd possibly visit both as peak uk are a dedicated kayaking company and their gear is top notch, I don't think Manchester canoes stock peak uk too. I paddle in a peak dry suit, although it's no longer dry if I swim, it's comfortable and warm even when wet. A friend of mine is a similar height to you and paddles in their latest dry suit also and has no issues. Both these shops are run and staffed by paddlers of various disciplines and will all be very capable of advising and helping you out. Hi None of Mark's gear will fit you- or mine for that matter! We both have the opposite problem at times. Manchester Canoes is worth a run-out; make sure you ask for club discount (15%?). Good to have you on the session today and we'll keep you in mind for further sessions. I've attached some details of our courses on Skye & Mull. See what you think. Just wondering if there are any requirements for going in the docks for personal recreation i.e. If I have my own gear can I go for a paddle by myself? Sorry but only recognised clubs that pay a license are allowed to use the docks. We have to follow strict guidelines. 1/ All paddling sessions must be on the club calendar (this promotes paddling within the club and actively encourages others to paddle with you). Key holders and other experienced members can arrange extra sessions by emailing details to website@liverpoolcanoeclub.co.uk or via the google group. 2/ You must paddle in groups and be very proficient in swift rescues. 3/ You must paddle within our risk assessment Click here for details�� or via the website. My wife and I are possibly moving to Liverpool. I will definitely be joining the club if we do as I am a keen sea kayaker. My problem is that we may end up in a flat/apartment making sea kayak storage a serious problem. Do you have spare capacity to store member kayaks (at a price) or is this something that you just don�t do? If not there must be other members in your club with this problem. What do they do to resolve it? Any help would be greatly received as I would rather leave the misses behind than my beloved kayaks. We do not generally store members boats although some do put GP or plastic sea kayaks on the club racks at the docks. (If you were to do this then the boat may be used by other club members at the docks as you would need to only use our club security wires). The area does need an electronic swipe card to access it and there are security cameras. However, I guess it is a composite boat so you would not want to do this. I have circulated this mail to other club members and if anyone has room to store you boat for you they could contact you direct. We would not want you to leave your misses behind as she is potentially another keen paddler for the club ! After the paddle to Hilbre last week - This inspired me to take a walk out there when tides are in - I have read the friends of Hilbre website that explains the tide times and when to set off. When visiting over high water set out from West Kirby leaving the Dee Lane slipway at least 3 hours before high water, or 3� hours on large tides 9.5 metres or higher, to allow for a stay of 5 hours or more on Hilbre. It is safe to leave Hilbre 2� hours after high water to walk back to West Kirby. Does this statement mean you walk for 1hr stay 5hrs then walk back 1hr. My interpretation. How long is the tide in and island surrounded. You�re not the only person to scratch their heads over Hilbre tides, just ask any of the West Kirby RNLI crewmembers who spend a great deal of their times rescuing walkers cut off by the tides on one of the three islands! If you look at any tide table you�ll notice that, each day, the time of the corresponding high and low water advances by just under an hour and that tidal heights also vary according to how close they are to springs and neaps. No doubt you�ve already discovered this from Wikipedia. As kayakers we tend to head out around Hilbre when the high tide is close to 9m (close to springs) as this is when the islands are surrounded by water. Because most of us tend to paddle on a weekend, you might get the wrong impression that this 9m tide only occurs twice a month but in reality, Hilbre is navigable over many days each month either side of the spring tide. Ade and his Friday slackers will testify to this. Similarly, walking out to Hilbre and enjoying staying there when the water surrounds it, can also be done on many days either side of the spring tide. The advice you�ve copied below in blue is correct and also gives you a safety margin so, to finally answer your question, yes � the statement does mean that you need to leave West Kirby at least 3 hours before Hilbre high water (Hilbre Tides http://www.ntslf.org/tides/tidepred?port=Hilbre ) and then walk for an hour or so (depends on your walking speed) to Hilbre. All of this time the tide will be flooding into the estuary so you can�t afford to take too long or leave it too late as the gullies surrounding the islands fill up very quickly with fast flowing water. Once you�re on Hilbre, you�ll watch the estuary gradually fill up with water and you�ll be surrounded by the sea for approximately 5 hours before heading back to West Kirby approx 2� after high water as the tide ebbs and the sand and mud is once more exposed. Enjoy � if it�s a nice day, giz a shout and I might come with you. I'm hoping to start coming in on Thursday evenings. I have experience in different types of kayaking and canoeing and I�d like to work my way toward an instructor qualification. What would I need to bring and where do I need to go so I can be ready to go on Thursday? We have two sessions on a Thursday. We have boats, paddles, buoyancy aids and spraydecks etc.� Pool � you only need shorts and t-shirt.�� For the docks - You just need a change of clothes and hopefully a windproof jacket to paddle in.� A head torch is useful for dark nights. How do i get to do some canoeing with yourselves?? Been over to your base but know one there? log in but gives me a list on right that doesn`t really take me where i need to go! You have logged into your account manager where you change details about your membership. To view the site and to find general information you do not need to do this. From the home page just go straight to the page you want using the drop down menus (or site map if on a mobile phone). If you go to anywhere on the site that is protected you will be asked for your username and password and then be able to seamlessly access those areas of the site. For instance if you wanted to find out other members contact details, see the photos or read the newsletter you will only be asked for your password once until you close your browser. If you are a beginner you would be best starting at the pool session where coaches could guide you though the beginnings. Again, as a members you will be able to access the pool booking page for Kingsway on a Monday evening 9-10pm. You pay for the pool in advance �4.00. Unfortunately all our beginners courses at the docks have now finished but watch the calendar for new courses. Everything is free, all the boats and paddles etc are at each venue to use by members. And see you on the water at Kingsway pool or the Marina. 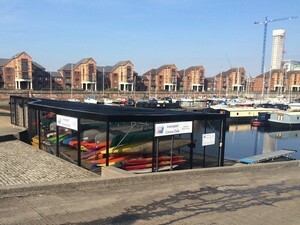 Hi, we have registered with the Liverpool Canoe Club.� We have not received any documentation as yet.� Could you confirm that we are able to use the club's facilities as we do not have a fob for shower etc.� Thanks for your help. Hi, To keep our costs right down we do not post out any physical documents. The reply email and welcome letter link are your confirmation of successful joining. Yes you can just turn up for a general paddle at the dock as you sound to have enough experience to paddle with other members.� You will need to speak to the other paddlers and find out where everything is (Boats, BA`s & paddles etc).� Julie Brooks runs the Sunday morning paddles and is an ideal contact to show you where everything is. Hi ,we have been members of your club for nearly a year now and we have not seen any grade one training at Albert dock yet ( on website it says there will be courses in may)and there is not many days out or courses for open canoes .I have asked about days out that have been done and have been told that we have not got enough experience but we cant get experience if its not there. Instead we are going canoeing on our own on the river Dee from sandy lane or from Farndon nearly every weekend which is experience but only on flat water. Are you specifically after open boat course or general Kayak course? If you are currently paddling on the river Dee you would seem to already have more than enough basic experience to paddle with he club either on a suitable club trip, club weekend or any session at the docks. Do you know who you spoke to about experience or at least what trip you were enquiring about. You may even wish to invite other members on your trips from Sandy Lane or Farndon as many members may be interested in joining you. Why not just come down to the docks and meet other members and paddle with us. We have a number of opens (9) that you can use or bring your own. Hi, I have recently moved to North Wales from Dublin, Ireland to work. I am living in Deeside, and am looking to get involved with a local club or team to play canoe polo. I have played in the Dublin Canoe Polo League for a few years at Div 2 level and was also a member of Wild Water canoe club. I would be very grateful if you could send me some info or point me in the right direction to finding a club or team to play and train with in my area. If you want to pop along to see or just attend and paddle on a Tuesday you would be most welcome.� Best to get to Halewood at about 6:45pm. Welsh Warriors have one team in Div 3 - they train with us on a Tuesday. Heya, I have not sat in a kayak or canoe for over 25 years and wish to get back onto the horse so to speak. Could you let me know if there is anyone from the club whom could help me jump into the deep end. I am looking for people/places or centres where I can get the necessary training so I can get out there and gain experience. During the winter we have 3 pool sessions a week that are ideal for people returning (Mon, Tues and Thursday). We have BCU coaches on the pool side and in the water to help you, a wide selection of boats on the pool side and all paddles / spray decks etc. As a voluntary club you will need to join (only �20 per year) � just click the join tab on the website. Alternatively from May onwards we run introductory sessions (3 x 2hour courses) at our base at the Liverpool Marina). Once happy in a boat you will be able to attend club sessions at the docks and paddle with other members. I am a little confused at the moment regarding equipment loans. I have read that boats cannot be hired for private use. Is it the same for paddles? Is it possible to hire paddles for personal use? You can use any of the clubs equipment (boats or paddles) for free during club sessions at the docks or any of the pools. If you go on a club trip (eg Anglesey Weekend) then you will need to hire a boat (which includes paddle, Buoyancy Aid, Helmet and spray deck) as you will be taking it away from the dock store for the weekend. This costs �5 per day. What you cannot do is hire / borrow a club boat to go off paddling on your own, that would be a private trip. We only lend (hire) club boats for club activities that other members can join in with. Me and my boyfriend joined recently and would like to start kayaking but don't quite know how things work for beginners. It says that there are introductory courses but we can't find any except for the pool sessions which are too far away for us (over 2 hour drive!!). We aren't total beginners and have previous experience with instructors and friends so can we just attend the general meetings even though we haven't got any stars yet? Our goal is to gain stars and begin sea kayaking. If you have some experience and do not need an introductory course in the basics of canoeing then you can just attend any of the sessions. Talk to any canoeist (in paddling clothing) and they will show you where the boats, BA`s and paddles etc are. You will paddle with others on the Albert dock. Details of venue etc are available via the website. The best first outside session to attend is a Sunday morning or Tuesday evening where or others will be around to guide you. My 10 year old daughter wishes to learn how to canoe/kayak. Does the club run any courses that she could enrol on and if so what is the cost? Hi, we do run a number of courses for members to learn to canoe or improver courses for those with a little experience.� All our courses are only �10 as coaching is free as is the use of our equipment.� However, these courses are mainly for our adult members. We welcome parents at these session, you are more than welcome to paddle with the group.� If you would prefer not get on the water, many parents wait / watch from the dock side or go to the coffee bar in the Marina complex.� We do require that a responsible adult remains on site while the children are on the water. I have been a member of the club for over a year now but haven't had the chance to go on a weekly basis as I am not sure when the other members are there. Club sessions, as long as you are not a total beginner, are on: Tuesdays, Thursdays, Saturday and Sunday from the Marina.� Other trips as per the calendar. Hi I�ve been canoeing for years and up to recently used a 17 ft. Canadian canoe but this is now to heavy to load on the car by myself so I have purchased a inflatable. Sevylor canyon SC320 would this be able to be used if I joined the club. Yes you would be most welcome, as long as you paddle with others in a group at the docks etc so you all provide safety for each other.� Club sessions are on Tuesdays, Thursdays, Saturdays and Sundays. However, we do have 7 open canoes on the racks + 80 assorted kayaks free for club members to use on club nights. Just ask some one to give you a hand to carry to and from the pontoons, people will be more than willing to give you a hand. We managed to join this morning. My husband Chris will be coming along tonight for the Beginners session at 6.30.� Unfortunately I can't come due to a meeting, but will be there on Wednesday's for the next 2 weeks. We'd also like to do the 5 hour introductory course on Saturday, is that ok? I am glad you have managed to join.� However, I am sorry but all courses have to be booked in advance.� All three beginners courses this month are already full but we will be publishing more for July soon when we can get volunteer coaches to confirm availability.� We are a large club with over 500 members and unfortunately cannot cope with large numbers of beginners starting all at the same time. If you cannot wait until July�s courses one way to get started if you are novice paddlers is to attend the pool session on Monday.� We have lots of coaches there along with the canoes etc.� This is an ideal way to start in a warm and friendly environment. �Many members have started here and then not needed the introductory course to get confidence before joining the club on general sessions (Tuesdays, Thursdays, Saturdays and Sundays).� General club sessions are all free, can use club boats and equipment and are suitable for those paddlers who are improvers and not total novices. Hi all, just joined and wanted to get involved in a taster session tonight, what's the deal, how do you 'book' - just turn up at 18:30??? The introductory courses for this month are all full.� You would book a course online via the links on the website or direct from the link below. After a beginners / introductory course (or if you were an improver or more experienced) you would normally be confident enough to just turn up at a normal club session.� These run on Tuesday, Thursdays, Saturdays and Sunday.� See calendar for details.� Here you can use a club boat and paddle with other club members. If you are a beginner and cannot wait until Julys courses are published you could book a slot at the pool in Widnes (Mondays 9-10pm)� Here coaches will guide you through the early days. I hope this helps, See you on the water. Hello. I�m interested in joining the club. I recently moved to the area. I have no equipment here with me but I have done a good bit of kayaking in the past mainly sea. Please let me know how things work. How often do you meet and go out on the canals. Hi, we are an open club that is extremely good value to join at only �20 per year.� We have a fleet of over 100 canoes and kayaks which are free for use my members at docks and pool sessions.� As you are more experienced you will not need an introductory course.� As a member you can just turn up at a club session and paddle with us. We also run lots of trips (just take a look at our calendar to see the variety and sheer number).� These are mostly coordinated by members and it is your responsibility to ensure that you are up to the trip.� You can ask for guidance from the coordinator if you are unsure. For club trips you can hire / borrow club kayaks with paddles and BA`s etc.� These are booked and a small hire fee paid online.� Once you are a full member you can see the whole site and discover the wealth of advice and material available here. Hi I have been looking at your website and would like to attend one of your introductory sessions with my son. I saw that the next session is on the 3rd of June. Are you able to give me a bit more information about where it is and if there are places still available? Hi, You are currently only an associate web only member and cannot get to the booking pages of the website until you upgrade to full member.� Go to the join tab for details of how to do this. All our introductory courses are full at the minute but more will be put online for July. Alternatively why not use the Monday pool session as an introduction to the club.� Again full members can book a place online. River Suitable for Children Grade 1+ - minor Grade 2. I can't recall it in detail as its been a while since I did it, but what about the 8km loop of the River Douglas and Leeds Liverpool Canal? Would do to scout it out first as it may be a bit treey, but its near. Start in the dead thing eddy where everyone usually gets on.� Bit of break in/ferry glide practice.� The options are to play at the end of rapid above or carry up on the other side to the ledge, play there or carry on up to above the ledge.� put on and work up the river to above the railway bridge. You can practice ferry gliding etc there or work up river and see how far you can get.� Paddle back down when ready.� The advantage of this trip is that you can tailor it to how quickly the kids get tired and the less strenuous activity is at the end. I am trying to join as an associate member for the time being but had had some trouble as I have not received a validation email. hello, just a bit confused.... I wish to attend a beginner course / session and have just become a member. The may course on Wednesdays is full and I have placed myself on the waiting list.� Have I missed the intro course? do they take place May to Sept and if so are they to be listed in upcoming events? Further I may struggle to get there for 6:30 as usually can only escape from work at that time thus arriving just before 7pm. Is mine a hopeless case? Yes, I am sorry but the course in May is now full.� If anyone cancels the automated system will email those on the waiting list.� This is probably unlikely given the popularity of these courses.� We try to put on at least 1 intro course a month.� They are sometimes on a weekend, Mondays Wednesdays or Fridays.� It all depends when the coach who volunteers is available.� All courses will be put on the calendar and the booking page and also emailed around the Google group (so please sign up for these messages). Arriving just before 7pm will be too late I am afraid as your group will have left to paddle around the dock already.� Let�s hope for a Weekend course. Alternatively you would be more than welcome to attend one of the pool sessions (currently on Mondays, Tuesdays and Thursdays. )� Here you will be given a basic introduction and coaches or experienced paddlers will be on hand to help get you started.� The pool is a good place to learn the basics. Anyone know anything about paddling at Chester weir, river gauges or when to go? River flow through the weir is mainly from upper reaches of the river, but the tide comes in and hides the weir / steps at every high tide. In a highish tide, the water will breach the weir and then you will have river flow plus what tidal water has been pushed above the weir. There used to be a rule about staying away from the weir an hour or so either side of high tide, but dont think that is still the case. Although at those times there is nothing to play on so its not worth being there anyway. From memory, if you get there about 2hrs after high tide there will be stuff appearing. The more the tide goes out, the more features you have to play on, but the features do change at the tide changes. Similarly on the flood as well, features (the steps) disappear and the surf wave on the main face changes. Hi, I have tried to join online but not really got very far? You are asked to put in your email address, the software then sends an email to that address and invites you to click on a link.� You can then complete your application and pay a fee if required (via card or PayPal account).�� If for some reason your email address is incorrect (you miss-typed it) you will not receive the verification email and the procedure fails.� Simply try again from the beginning, this time checking all the details carefully. 1/ Click join tab on the website and enter your details. 3/� Pay any fee and fill in the rest of your details. 4/� You will receive a welcome email with your username and password.� Please remember these to access your account details or secure areas of the site.� There is a link to add your email address to our message board / google email group to be kept informed of club activities.� You are advised to do this in order to keep up to date. 5/� In a years time you will receive an email asking you to log into your account (click log in on the pink bar at the top) and either pay or change your membership. Good morning. I upgraded my membership on the site yesterday and am looking at booking on to the introductory course on the Friday evenings in June. One of the days is slightly awkward but I can work around it at a push. Just before I book on the course are there any plans for a one day course in June? Hello, I joined LCC earlier this year, see below, and am getting club emails which is great but there was nowhere that I saw to put information about my partner so that he also gets emails and appears on the club list and can login to the site.� He's cc-ed on this email, and has the same address as me.�� Is it possible to sign him up for emails too? I have signed him up via our message board page � See info page or link below.� He will need to click on the email to activate messages etc. As a family member the lead person is supposed to forward information about paddles to the rest of the family but we are finding more people are signing up multiple email addresses etc. I'd recommend Waterside House Campsite. http://www.watersidefarm-campsite.co.uk/index.html� Its on the back road on Ullswater, and you can pitch damn near the waters edge if your lucky. Hi, looks like I have messed up on my member login somehow, sorry! Your account is still valid � you need to use exactly your username and password. If you have forgotten your password a new one can be emailed to you.� See our help and advice page. This new password will get you into your account where you can change it for a more friendly one.� If this all fails get back to me and I can sort something out. 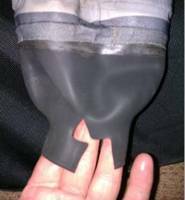 Silly me ripped my cag seal on my watch � Anyone advise on how to repair rip on a seal on a cag � can this be done by yourself or is a professional job.� Although I see repair kits I wonder do they actually work and has anyone successfully repaired one. A wealth of replies on how to mend a broken seal on a cag from temporary measures with puncture repair kits, stretching over lemonade bottles � good ideas. For a long term repair so many people have recommended the rubber man � (although sounds like a fetish retailer �lol)� He appears to be the most recommended by all. We always use Chris Steele www.rubberman.co.uk based in the Conwy valley. I am going to buy a dry bag, what sizes (they seem to come in litre size, eg 15l) fit in the sea kayak's? 20 litre should fit in most sea kayaks.� Sometimes you have to pack the bag inside the hatch and roll it down to seal it if a big bag but still works.� Most hatches are 24cm in diameter. Hi, I have just registered and joined LCC. I am an ageing returner to the sport and have recently acquired a grp cross between a sit-on-top and a waveski which is a little lighter and more agile than the typical sit-on-top but not an extreme rocker, sharp railed ski. Ultimately I would like to go for a �proper� surf kayak such as a Mega but I�ve never really mastered the art of rolling which is why I currently favour the ski. I am looking just at recreational paddling to get some fresh air and try to regain some level of fitness but I do like playing in waves, albeit usually the smaller type normally on Anglesey. My question is � Is a surf kayak really appropriate for me or would I be better off with just a whitewater/river running boat. My only concern with this is that at 90kg I would have to go for a fairly large boat where the surf kayaks seem to carry a bit more volume for their length. I would like something that would be easier for me to master rolling in the short term but I don�t want to end up swapping boats in quick succession. Interesting question so I can only give a view.� A radical surf kayak is very narrow, tippy and difficult to roll, especially at 90kg.� If you were very good and wanted to enter competitions it might be right for you.� Right now I would say no. I used to do a lot of surfing on a wave ski, indeed I still have it but have been thinking of selling it for 3 years now but have just not got around to it.� I spend all my time in the surf in a small, shortish, flat bottomed plastic kayak.� This is much warmer than the ski, quite manoeuvrable and as it still has some length so can get out through the surf or pick up less steep waves. You would be best to try some of the boats at the club before trying to get a kayak for yourself.� This weeks pool session is fully booked already but next Thursdays bookings will open straight after this weeks session at the pool � this would be ideal for you to learn to roll.� Nb we are very overcrowded so get ready to book a session.� Alternatively you can attend our club sessions at the docks to paddle and get used to kayaks or indeed go on any surfing sessions when they are advertised. This is my current kayak � S8 large volume but it is now dated and I have broken 2 with spits on rivers over the past two years.� I am looking at the new Loki from Pyranha when it launches in December but it will be expensive. I have recently become a member of the Liverpool canoe club but have not been able to make it to any meetings yet. I was wondering if I would be able to store my kayak at the club and if I would be able to access it at any time (for example pick it up on a Tuesday morning if I was going away with it for a few days)? Several members do store their own boats on our racks at the docks provided that there is space.� They are secured using our cables and locks on the understanding that the boat could be used during a club session by the club if you are not there. You are able to take the boat at any time and would be trusted with the code for the shed and locks. If this is acceptable then please speak to Keith during a club session. What is the chance of booking myself and wife in for the next introductory course and how do we go about it ? Everything is done online to reduce administration to keep costs down etc.� Once you have joined as a member your username and password will allow you to see all of the website and can book courses, see events and members details etc. The introductory course is �10 each for registration.� This ensures people are committed and turn up for all 3 sessions to get the best introduction to the club.� (We do not charge for coaching or borrowing our equipment) You will then be able to / be confident enough to join us on a club night � Tuesdays and Thursdays and take a kayak from the rack and join in with the paddling. Go to the member�s page / tab or click the link below for details of courses. I joined the club last month and I am beginner to Canoeing what�s the best way to get started? If you are a novice probably the best way to start would be to join one of our introductory courses (May to October) or come to the pool sessions in winter. (Please see the calendar or venues pages for details).� The pool has three more weeks to run and unfortunately the beginner�s course in May is full but we are taking bookings for the one in June. My son and I took part in the introductory sessions last Summer and now have our own boats. I was wondering if we are OK to access the dock this week via the slipway and get on the water at the top end of the dock (adjacent to the car park before you arrive at the club house & where we practised rolls last year) as we do not have an access card to the club's area next to the sailing club ?� Any advice would be welcome. However, you are more than welcome to get on via the slipway during a club paddle or session (ie Currently Sunday mornings 10:00am or Thursdays polo training at 6:30pm � please check if we are going down as not always the case)� Also every Tuesday and Thursday when we start again fully in May. In addition you may look out for planned sessions at the docks via our calendar (or try to persuade a more experienced club member to coordinate a club session.� ie we need the name of coordinator / person responsible and to invite other club members via email group or calendar as this then makes it a club session. Please see clubs risk assessment for use of the docks���..
We may start Tuesdays again in April but watch the calendar for this. I've read the rules on under 16 year olds and my question is please that if his friend also joins as a member, he is 14 years old and then they book on the same beginners course, is it ok if just one of the parent /s of the boys attends with them both please? Many thanks in advance. Yes of course.� We are very happy for parents to work together to supervise their children as long as there is someone in �loco parentis� who is responsible for all children in their care.� We have many families in the club; some with parents who paddle and some who do not. I have a SOT (Sit on Top) kayak. I am very new to kayaking. The question I have is, when I am changing from one side to the other after a stroke, should the paddle blades be dribbling water all over my legs and feet, or am I doing something wrong? Thank you very much for your time and information. Although you can expect some splash or mild dripping while on a sit on top this should not be excessive or cause you any discomfort. Your paddle � some of the cheaper blades may retain water when lifted during your stroke.� Fluting or rubber drip rings (designed to prevent drips) may make this worse.� More expensive paddles are sleek and retain little water.� If your paddle has rubber drip rings try moving them to the middle of the shaft and cutting them off if this makes it better. We have many members who wear glasses (and sun glasses in summer). You will need to make sure they are attached as they will be expensive to replace etc. although there is little chance you will capsize most of the time. There are several methods that people use. 3/ For white water paddling water on the lens is the main problem so most will wear contacts for very rough water. Hi, I was just wondering if there are any facilities at the dock to store my Kayak? I'm not going to have a car from next month as i'm starting at uni and cant afford to run it but would still like to have a way to use my Kayak. Yes we have four racks for club boats in the secure area. You will need to purchase a swipe card to access the area and will need to know the code for the shed. Many club members store their boats here but they are locked on along with the clubs kayaks and canoes so the stipulation is that they may be used by members during club sessions if you are not using it first. This is not a problem for most and in reality personal kayaks are seldom used in this way. Hi all am looking to start paddling with my family, so am looking for 3 kayaks to buy as cheep as possible as cash is tight at the moment, i have been looking around at the different types of kayaks available and am interested in a touring kayak, but as a starter am willing to buy any type just to start with for this year. thanks all and looking forward to joining you all some day. Why don't you use the club boats for a while until you know exactly what you want. These are currently at the pool until they move to the docks in May for the outdoor summer sessions. They are free to use during club sessions. The best way to start is by coming down to the pool sessions at the Kingsway Pool on a Thursday. We have lots of boats and coaches to help you get started. Check the venues pages for details / maps. In May we intend to run our successful introductory courses again, watch the calendar / newsletter for announcements. If you do not need introductory lessons you can just attend our club sessions on a Tuesday or Thursday evening from 6:30.
hi all, wondering if anyone can suggest a handy canal put-in with parking in Wirral or Chester, as I�d like to take my kids on a safe starter run (they know how to paddle, just lack practice.) your advice would be much appreciated. Cheers. Try these locations, good parking and easy water � links are from the trips pages of the website. Is it necessary to do a starter kayaking course before joining your club? I wish to learn the relevant skills with the view to doing some coastal/sea kayaking in the future. I recently retired and have the time and some energy left. Thanks. It is recommended to do a starter course during the summer when we run them - next is due in May when we start back outside. However, during the winter many people start by coming to the pool in Widnes on a Thursday - see the venues page. This is ideal for beginners as the water is warm and coaching can be given to get you off to a good start. You can just join and start coming along or pre-book a pool slot when a member via the website using paypal or a card. Hi, I am 15 years old and paddle with peninsula canoe club on the Wirral. I am looking for more white water trips and am particularly interested in freestyle . I have paddled the tweryern and at JJs regularly also at Stanley embankment so have had experience of white water. I am interested in competition but don�t know where to go next for advice so thought I would try your club. Hi, there is the junior freestyle circuit which runs each year, you may already been involved in this. Unfortunately their website seems to have changed to bogie boards. Try the main freestyle site for updated links. We do run a lot of river trips each year and often go surfing or to Stanley Embankment. We have several members who paddle freestyle (two French lads (Martin and Bertrand) who were part of the French circuit before moving here). You are welcome to paddle on our trips / with us but as you are under 18 will need to be supervised by a parent or guardian. Each year we do paddle in the French Alps and again if your parents were not attending you would need someone over 18 to act in `loco parentis`. We have regularly done this in the past. Our membership fees are incredibly low as we have few running costs. There is no requirement but at this time of the year (January) you would need to be fairly experienced (probably with you own equipment) as even a paddle on a canal would be very cold and people would be moving fairly quickly to keep to warm. If you are beginners you would be best to sign up in May to the beginner course(s) at the docks (various evenings) and possibly at weekends. The weather is far warmer then and it would be a better introduction. Watch the emails and website for more information. Hi, my name is xxxx and I�m 22. I never tried canoeing before, but I would really like to do it. Is there any possibility to have a try it session in the next time? I�m looking forward to hearing from you soon. Hi, we did run two come and try it sessions last year as part of a BCU initiative. They were in May and June. Unfortunately there are none planned in the near future. We are a large and active club with over 500 members. Membership is extremely good value at �10 per person per year. If you are keen on starting canoeing and want to receive coaching and help we do run sessions at the Kingsway pool in Widnes on Thursdays - see the venues pages. We do, however, expect you to join the club first. If you just want to try canoeing on a one off basis then either Merseyport or Crosby Watersports centres are a good place to start. If you then want to take the sport further you may like to join one of the clubs in the region. Hi, i'm looking at starting up my canoe interest and thought it best to join a local club. if possible could you give me some information about your club and ways in which to join. We paddle from our base at Liverpool Marina (Near Albert Dock and Merseysport) throughout the year. We have a variety of club boats on our racks and gear in our shed. While most of the GP boats have been moved to our pool session for the winter there are still plenty of boats available to use during club sessions � all totally free of charge and on a first come basis. These boats are available for loan on club trips for a small contribution for wear and tear. There are many types of rolls out there some very complicated with only a limited use such as the tornado roll and the other more common rolls such as the screw roll and mine and many other coaches favourite the C to C roll. It works in every scenario and if it is done properly it is arguably the safest and most efficient roll. There are many videos of the net, unfortunately there are many bad examples of this roll. But here are the ones I have used in teaching. This 1st video in my opinion is one of the best on the net. It clearly shows the basic principles behind what is involved in what is require to safely do the roll. PS don't worry when you say "I'm no way as flexible as that woman". I guarantee everyone says and they can all do the roll! This is one of the latest rolling videos to enter the web. Made by some paddlers at Bangor uni for there degree. It is well put together and shows a clear step by step guide. This last video is another American "Kayak School" video. some cautionary notes on this are needed. The roll below is an add on to the C to C but defiantly one that should be thought about once the basics have been mastered. The yanks call it the combat roll basically it is a C to C roll but coming up leaning forward protecting the head. This is not just for white water paddlers but for all forms of paddling! The old fashioned form of the book hasn't been surpassed yet by the internet, especially in terms of rolling resources. This book is often termed the "Bible" of rolling resources as it is easy to use and is well worth the price! The first batch of pages are available free on Google books it even shows a very useful flow diagram. I'm looking to join the canoe club. I have some basic experience in both kayak and canoe paddling but haven't done any assessments.� I see there is a 1 star assessment this month, is it possible to join and take this assessment without doing the Intro Course for New Members? If so, do you choose which night to attend the assessment (16th or 23rd) or do you have to attend both. Yes, if you have some experience you do not need to do the introductory course first, you can either come down on club nights to paddle with the clubs boats and equipment (first come first served) or indeed put your name down for a coaching course. I will add your name to the list for the one star assessment course (your need to attend both evening to ensure you complete all the elements of the award). Please see the syllabuses and notes available via the coaching page or calendar. Please ensure you join online before the course so that you can join us. If your running a trip and are happy to open it up please use the googlegroup to advertise to other members. Please make it clear that there will be no coach cover and participants need to be confident of their ability to cope with the trip. You will probably need a few days notice to get any replies. At least 5 days notice seems to work best. As it's only �20 to join for a year they should be a full member first. This ensures that we have all their emergency details etc. If they are not sure that they want to join a club they should try a taster session at Merseyport or Crosby Lakeside Watersports Centre. Hi there, Do you have any taster sessions for canoeing or kayaking? My son Dylan will be 7 in October and would like to give the sport a try. Where about in Liverpool is the club? Many thanks. Hi, 7 is a little young to start although we do have families that paddle and paddling adults often bring and supervise their young children. We are really a canoe club for committed paddlers or those that have tasted the sport and are keen to learn. We are based in the dock by Liverpool marina (yachts) and the water is deep and dock walls steep. Liverpool Watersports Centre (Merseyport) may offer taster sessions or the new centre at Crosby. Dylan may have to wait until he is a little older - perhaps 10 years of age. Hi, You should have received a welcome email detailing information on how to paddle with the club. Your password will allow you to explore all of our site. If you and your family are total beginners then an introductory course would be best � the next one starts in September, Monday evening from 6:30pm (see our calendar) � 8 booked onto the course at the moment, let me know the names and ages of any of your family who wish to attend all four sessions. If you have paddled before then you could just come down to any of our sessions � Tuesdays and Thursdays at the Marina � check the venues pages for maps etc. All lessons / sessions are free for members. However, if you are novices and have absolutely no experience of kayaking you will need to book onto a beginners introductory course. These run each month of the summer (normally for the first 4 Mondays from 6:30pm). The only exception is there is no course for August as most of the coaches are away on expeditions abroad. Once you have joined (�15 per year for a family) you have full access to the whole site and can book / register for the introductory course - this is totally free and we provide boats (opens and kayaks), paddles, buoyancy aids and helmets if required. Hi there, We were hoping to come along to the kayaking tonight at 19:00.....(2 people) As we are first timers is this the best time to go - if so do we need to register online first? Many thanks. You would need to be members first and if you are beginners will need to join a beginner�s course before joining in with the club night sessions on a Tuesday and Thursday. There is one running in July for 3 weeks but this is currently over subscribed with 18 (needs 3 groups). You could add your name to the waiting list or sign up for the one in September. All club sessions start at 6:30pm with gates locked before 7:00pm with most on the water by 6:45pm. We then split into groups to paddle with more experienced paddlers or club coaches as appropriate. 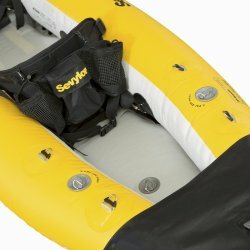 I have owned a Sevylor Tahiti for about 4 yrs and it is a very good starter inflatable. I have done 8 mile trips in it on canals and lakes, even out in sea surf and it will take 2 people and a good load carrier too. It's a lot better made than some cheaper beach toy boats, and you can get them at Outdoor World in Bootle now I think. You should be able to get one for around �119, but do get the optional skeg, and a decent paddle; it makes a great difference to the handling. Decathlon in Stockport also have inflatable�s and are reasonable regarding price. Unfortunately the cost goes up with better quality kayaks. Three or four members also have inflatable�s and might be able to offer advice on where to buy. As a member you are able to attend either our beginners courses or introductory sessions. We have two sit on tops which are similar to inflatable kayaks or you could try our open canoes or rigid kayaks. Our introductory course for July is now full, the next beginners one is in September. � see calendar for details on how to reserve a place. I have joined the club but do not seem to get any of the googlegroup emails? I am a new member with very little recent experience in a kayak although I did a fair bit 35 years ago. I have been to Pyranha today to have a look around before buying a Kayak. However when I asked the staff about paddling on the Bridgewater Canal and the fees involved, the said that there were none as canals are free so long as its just paddling and not a motorboat. Is this right please because somebody has told me that all Canals have a fee. I am interested in paddling on the Bridgewater and Sankey Valley Canal and the River Weaver. Do I need a licence thanks? Officially you need a British Waterways licence to paddle on any canal. These are included if you join the BCU as a member (about �39 a year) or direct from British Waterways. However, in practice you will never be asked for one if you put on locally so you should really just get on and paddle, keeping clear of any boats if they are moving or any fishermen etc. We often paddle on local canals as a club and have never been asked for a license. The club uses the Liverpool Docks as home waters - we do pay a license for this to British Waterways but as a member you would be welcome at any of our sessions (formal and informal). Hi, I was wondering if you could offer me some advice about getting into sea kayaking. My boyfriend and I are hoping to take up sea kayaking. We have been out with a friend who is a coach a few times for some taster sessions and we have been to Scotland for three days kayaking with a coach. Once you are a member you are able to attend any of our club sessions (Saturday, Sunday, Tuesday and Thursdays) from the Yacht Marina and Sailing Club from 6:30pm http://liverpoolcanoeclub.co.uk/venues/venues.php or trips further afield depending upon your experience. However, you may be best joining our introductory course.�� We try to one at least one a month � days and times vary. All equipment is available on a first come basis. If you are more experienced you could start at any session. Our coaches offer courses and assessment - see our calendar for current courses (BCU paddle start, BCU 1, 2 and 3 star are on offer this summer) There is no charge for any of our coaching as the club is run by members for its members but there are fees payable direct to the governing body (BCU) to obtain certificates when you pass awards.� We do however ask for a �10 booking fee to ensure you are a serious candidate. Any of our experienced paddlers would be willing to give you advice, just come and have a coffee or drink with us after each paddling session at the marina bar at the yacht club. Hi, We paddle every Thursday during the winter (October to May) at the Kingsway Centre but at Liverpool docks during the summer months. Click on the venues tab / page for more details. We do return to Widnes on the first Thursday in October. Hi, We have no minimum age set as we are a family friendly club. As long as he paddles in a group with a coach or experienced paddler there is no problem and provided that we have a suitable buoyancy aid that fits well (or you may have your own). Parents or a similar adult MUST be present and contactable at all times (ie within the club or indeed on the water paddling). We have several families with children as young as 8 who paddle our junior boats. Everyone is welcome. I have just joined the club and wonder what to do as a novice, do you have beginner lessons for people like me if so when and where is the next beginners lesson? If not do I start learning on my own and then join you, sorry just a bit confused at where to begin at the moment any advice would be appreciated. Once you are a member you are able to attend any of our club sessions (Saturday, Sunday, Tuesday and Thursdays) from the Yacht Marina and Sailing Club from 6:30pm Midweek / 10:00am Weekends but these are for improvers only.� We cannot accept novice or absolute beginners at these sessions as there may not be coach cover.� The only way round this is to paddle as an accompanying adult at one of our Junior or Youth Development sessions.� Here a parent will benefit from the coaches provided to cover the juniors ie you will get free coaching if you accompany your children on the water. However you may be best joining our introductory course which starts every month � check calendar or booking page for more details). All equipment is available on a first come basis. Hi , Sorry but I have been away on a club expedition to the islands off NW Scotland so apologies for the late reply but I have been out of phone range. 2/ Our coaches offer courses and assessment - see our calendar for current courses (BCU paddle start, BCU 1, 2 and 3 star are on offer this summer) There is no charge for any of our coaching as the club is run by members for its members but there are fees payable direct to the governing body (BCU) to obtain certificates when you pass awards.� To ensure the courses run we do ask for a �10 booking fee. Hi ,Sorry but I have been away on a club expedition to the islands off NW Scotland so apologies for the late reply but have been out of phone range. The session would not have been cancelled for any reason as it is always safe to paddle in the docks. Coaches present on the night may change the area they work in to gain the most shelter. Hope to see you down this week. We have beginner sessions starting every month (times and days vary) based at the Sailing Club / Yacht Marina at Liverpool Docks. We have all the boats and equipment there and joining is extremely good value. Yes our yearly membership fee is really �20. There are no other costs required but club boats are on a first come basis on Saturday, Sundays, Tuesday and Thursdays. If you attend the docks sessions regularly you may wish to purchase an electronic swipe card to give you easier access to our equipment, the changing rooms and pontoons. This is available to full members��..
My friend and I are planning a kayak run down the Manchester Canal and onto the Mersey via Warrington. We are unsure from our checks whether it is safe to portage on Albert Dock or nearby. We have no other reference, so could you you please let us know if you have any information regarding this? Access at Liverpool Dock is difficult but there are two sets of steps and a slipway opposite Coburg dock. By far the best get out point is on the Wirral side at the mouth of the Mersey at New Brighton Lighthouse. Stable sand and several public access slipways together with easy parking. There are also several stopping points / access slips on the Wallasey side before you right New Brighton. Google earth will enable you to spot these. Be careful, as the tides from Runcorn down are very strong and can produce steep and difficult seas. With wind against tide, a confused, steep sea develops. The major hazard is being swept under piers or landing jetties � keep clear by along way as tide runs at 6+ knots on springs. There are several maps etc on our trips pages but you will need to register for our free, web only membership to view these. We do not actually have a mailing list but when you joined you may have signed up to our Googlegroup to receive emails about club activities. Every email contains details on how to unsubscribe yourself from the group. You are always in full control.� Indeed, if you wish to delete all your membership details you can at anytime by logging in to your account via the website and selecting delete your club account and all details. However, if you have your own insurance and the coordinator is happy you are more than welcome to join us on the occasional trip. If you are paddling more than occasionally you should really be a full member. I hope this helps. I have forgotten or Lost my Password for the site. Can it be renewed or reset? To retrieve your password click here......... you will need to enter your email address OR your username and your login details will be emailed to you shortly. Question on the CRB checks for BCU Coaches. 1/ My last one relates to another canoe club, the other one I have is from December 2005 for the Scout Association - do the Liverpool CC coaches need to get a new one for LCC through Dave R? 2/ Do all coaches need to do the online child protection module or is it just a "good to have"? Hi I am looking in to renting a kayak for a few hours a week, do you offer renting and if not do you know where I can? Can anyone recommend somewhere that does replacment latex neck/wrist seals for a dry cag? I always use Rubberman in North Wales. Some of the best quality replacement seals and returned in the post the same day. I have a little experience of paddling in both an open canoe and a kayak and hold a one star in kayaking that I gained a couple of years ago. I am looking to join a club where I would be able to train regularly to improve my standard and to increase my opportunities for getting out and about on the water, as well as hopefully getting to meet people with similar interests!! Please could you let me know how I join the Liverpool Club, where and when your sessions are that a sort-of beginner would be able to attend and how much it costs for membership, equipment hire (as I have none of my own) and session fees etc. Joining is easy � just click the join tab on the website and join online. Remember to click on the email to verify it and follow the instructions. Membership fees are negligible as the members run the club for its members � only �20 per year. We have a pool sessions in Widnes on Mondays and Thursdays which is ideal for newcomers (20 boats and paddles etc available � pool fees to cover pool hire are �5 per session. From May to October we paddle on Tuesdays and Thursdays at Liverpool docks. Click on Venues pages of the site for maps and details or check our calendar. Boats and equipment are available for both these sessions an there is no charge for this as its included in your membership fee. We have a large number of coaches and many experienced paddlers to guide and help you. Once you gain experience and have access to your own equipment we paddle every Wednesday throughout the summer at different spots (Leeds-Liverpool canal, Crosby Beach, New Brighton, River Weaver, Chester, Bridgewater Canal etc). Last weekend we had three trips out with over 30 people paddling. Weekend trips and more advanced trips go out every weekend. Just search our calendar for past trips or check out the archive of newsletters. We also publish a newsletter every month as members write trip reports and give general news about the club. This is typically 6-8 pages and contain a wealth of information. Hope to see you at the pool or in the docks soon. I looked on your website at the calendar and was also just wondering whether it would be possible to do the Sunday trip if you don't have your own Kayak? Also the grading, is that a reference to the river or ability? The grading for river trips applies to the grade of water. Grade 1 is moving water with little hazards. I'm keen to join and, in the first instance, learn capsize drill etc. Can I come to one of the scheduled sessions at Widnes Leisure Centre (having paid the membership fee) or do I have to wait until May for the Come and Try It session (I've done bits of canoeing over the years)? We welcome new paddlers. The best session during the winter to make contact is the pool session on Thursdays. It is an 8 lane pool and we have a number of boats and paddles etc available. It is on a first come first served basis on the night and if we exceed 24 people on the water we ask for members to pair up and share the session. Most wear swimwear and a t-shirt or similar. I collect the pool fees in the canteen in the main door and immediately on the left from 8:30pm We have 4 or five coaches on the night to help you get started. Hiya, I am interested in joining the club. I would like to join the group, i am a beginner, but would enjoy improving and going on trips. Please could you tell me where are you based? How often do you do day trips or weekend trips? How much is membership? We are based at the Kingsway pool in Widnes during the winter - Thursday nights 8:30 til 10:00pm We have numerous coaches to help beginners and newcomers at the pool or the dock. From May til Sept we paddle in the Liverpool Docks from the Marina (the water by Merseysport and the Albert Dock - Tuesdays and Thursdays from 6:30pm. We have boats and paddles etc at both these venues. More info and maps etc via the website - click the venues pages. We ran lots of trips at the weekends, on average at least two every weekend. For instance last Sunday a group paddled to Hilbre Island and another on the canal and river near Llangollen. All information can be found via the website. We also issue a monthly newsletter (The latest newsletter is attached). All members are also added to the google email group to send and receive the latest trips and info about the club. Membership fees are extremely low as we only aim to cover our costs. Adult �10 per year. The only other costs are pool hire fees of �4 per session at the Widnes pool or Broadgreen pool. You can join online via the website and pay securely via a card by clicking the join tab or the link below. I registered as an associate member last year. Do I have to upgrade to keep my membership? Our membership structure covers the relatively small costs involved with running the club (BCU affiliation, insurance, dock fees etc). You can now choose to upgrade your associate membership (if you have not already done so) to a Full Membership by following the example by clicking here� and paying safely online with a card. This is also available from the membership tab of the website. Alternatively, if you do not intend to take advantage of a full membership, you can remain an associate member and keep in touch with the club via newsletters, the website and club related emails from our Googlemail system. However to paddle with us or to have access to our members (and coordinators) contact details you will need to upgrade to a full membership. Hi i did a 2 star kayak award when I was in the scouts about 10 years ago now but haven�t done any paddling since then. I was looking to get back into it but as you can imagine i cant really remember any thing. I was wondering if you could tell me the best way to or if you know of any beginner session around Liverpool or Merseyside that i would be able to attend. Look forward to hearing from you. We start introductory sessions after Easter.� See our calendar for course details. We also have pool sessions at the Kingsway pool in Widnes every Monday (all year) or Thursday throughout the winter months. We are also at Broadgreen Pool on Tuesdays in winter.� Please see our venues page for maps and details or click on the sessions on the calendar. The Liverpool canal goes to Leeds and has been paddled regularly (20 or so locks to portage). The Leeds to Liverpool canal seems to join the River Humber via the Aire and Calder Navigation, and can then be paddled down to hull. Several routes are possible. British Waterways will be able to provide much more information. L & Lpool canal runs into northern end of Liverpool city before turning right and dropping down through a series of locks into Stanley Dock. Then via a final lock into the river Mersey. Unpowered craft such as canoes/kayaks are prohibited from using locks for safety reasons so it's not possible to paddle right to the river. Also I don't think there is any public access to Stanley dock so portaging to the river side is probably not on but British Waterways will be able to confirm position. However, when the canal starts to descend, (at Eldonian Village, parallel to Vauxhall Road) you can see the river, approx 1Km away and you are about the same distance from city centre so it depends what you want. A word of caution. A lot of effort and expense is being put into revitalising and upgrading the canal into Liverpool but as with all major industrialised cities we have run-down areas with social problems and there can be problems with vandalism, yobs etc on the Litherland and Bootle stretches. Also landscape is not the best. Things are improving but personally I wouldn't paddle further than Aintree unaccompanied. If you really want to complete the trip into Liverpool and you are a lone paddler let me know dates etc and we will try to help. Is there any problem with using the bow seat as the stern seat when I paddle alone? Using the bow seat gives the canoe a better trim. The other alternative is to place ballast in the bow. I weigh in at 240. see the problem when I am way back in the stern seat? No, it is common practise to use the bow seat when paddling solo (boat hull should be symmetrical). As you progress you may try a kneeling position near the central thwart to gain even better trim. My 10yr old son and I recently passed a one star Kayak course; we would both like to continue to improve over the winter period. We live about 15 minutes from Speke and are both interested in your pool sessions on a Wednesday night. If we joined and attended your pool lessons, would we be in the same class at the same time, and at which level? Our instructor classed us as good one star paddles? We do not run formal classes - we are a kayaking club and individuals book an hour of pool time in which to practice their skills. Coaches are available both in the water and around the sides to advise, help and coach. The sessions are less formal and more club orientated and allow club members to progress as quickly as possible. Both you and your son will / could be on the water at the same time. Where is the nearest kayak shop? Try our website `For sale` page. Kayaks North West is the shop outside the Pyranha factory http://pyranha.com/� Kayaks NW have a reduced / clearance clothing sale up the spiral stairs in the shop and is often missed by customers. Kayaks North West Discount Scheme. 15% off for members of Liverpool Canoe Club. Where are the nearest kayak shops??? �Other good shops include: http://www.paddleworks.co.uk/ in Llangollen and http://www.manchester-canoes-and-kayaks.co.uk/ in Warrington.� All sell second hand boats or ex-demo boats. I am an 44 year old officer within the Boys Brigade organisation, have paddled on an off since I was around 10 years old. I've had no formal canoe training (though, class myself an reasonably proficient and can role) and would like to work for coach certificates. Is this something that LCC can help me with or can you suggest another organisation that would be better suited? We currently have 16 club members working towards their Level 1 / 2 coaching award. The club regularly runs coaching sessions where trainee coaches work alongside established coaches to gain experience and log the hours required before assessment. We are planning to run a L2 coach training course in April with an assessment at the end of the summer. Last September we ran a course for the canoe safety test and will run a 3 star assessment before the L2 training course in April. We currently have a pool session at Speke pool, 7-10pm. Why not come down and introduce yourself or if you have joined the club (joining forms from www.liverpoolcanoeclub.co.uk - Membership for the year costs �10-�30) why not have a go. Hi, "Re: If you would like to attend a course Level 2 Training (Kayak) BCU NW Region COACHING SCHEME 10/11 September"
1. where will this course be held? 2. how much will it cost to LCC members? 3. what if people are strong paddlers but need to take 3* first? It would be advisable to contact the organiser direct to find out the exact location and details. Courses are cancelled if there is not enough interest! It will be held in the Manchester / Bolton / Merseyside area. Discussion is under way re: subsidising LCC members undertaking coaching courses. I will try and clarify how much at the next coaching meeting on the 11th Aug (Why not come along as you are a potential coach). If there is enough interest the club could hold its own L1 / L2 courses. 3* and CST etc can be assessed during normal club evenings. Just ask to be assessed by myself or any coach with assessor status. I have recently returned from a short trip in the Scottish highlands, and among the group of us, the idea of canoeing the Caledonian Canal came up - this looked like it should be both a memorable and enjoyable trip but, and it is a bit of a big but: it has been some years since some of us were in a canoe / kayak last, and I am not 100% sure all of us have been in one. We are largely based in Ormskirk, so where you appear to be looks like it might be ideal in terms of location if you do taster sessions (so that if we decide it's a bad idea, we could bin the idea). So - do you do taster sessions for canoes? Can we hire them from yourselves? How much training do you think a bunch of novices would need for a trip like this? Etc? Any advice would be much appreciated. Hi, There was a report from a trip along the Calendonian Canal made by some of our members. It is on the website. www.liverpoolcanoeclub.co.uk >>Newsletters >> May 2005. The trip is fairly straight forward, if you chose suitable canoes and take care of the storage of spare clothes / food / camping equipment etc you could do it almost immediately. You need good weather / care when crossing the big lochs as you are relatively inexperienced but you should be fine if you keep close to the shore. Two boat choices - straight line touring kayaks (like the ones in the article above) or open canadian canoes. I would suggest a training day(s) along the Leeds - Liverpool canal before you went to familiarise yourselves with the equipment. The club does not really have this type of canoe, most of our boats are shorter white water or training boats. It is unlikely that we would let out the Canadian canoes to "brand new members". However, many commercial companies hire out canoes - the web is full of them (try Kayaks NW, they occasionally hire out equipment including plastic touring kayaks http://www.go-kayaking.com or Caledonian Activity Breaks based in Fort William (they also do a pick-up and recovery service!). Also Loch Morar Activities. I am new to the sport and would like to attend one of your coaching sessions. What should I wear and bring? The club provides all the paddling and safety equipment at beginner sessions. If you are attending an indoor pool session you only need to bring a towel and swimming costume. (some members wear a t shirt). Some kind of windproof (waterproof) top. Special canoeing cagoules are available in canoe shops but any lightweight "golf" type jacket or cagoule would do to start. Hi, Having recently returned from a holiday in Canada where I had the opportunity to give kayaking a try, I am now interested in taking up the sport as a regular sport/hobby. I would also be particularly interested in pursuing white water canoeing at some point in the future. Would you be able to provide me with any information about beginner training sessions, courses or training that your club offers, and which days and locations in Liverpool that these courses would be available. The club runs numerous sessions in and around Liverpool. These mainly run over the summer months. Contact the coordinator to see if there is a place. You MUST be a member before your paddle. See the club calendar for details of some of the events we are involved in. The club always welcomes new, active members.� We have over 100 kayaks and canoes to try at our main venues. I have just had to give up rowing for my uni as im in my final year and didn�t have the time they required any more, but am lost without a hobby on the weekends and quite fancy learning how to canoe. I was just wondering how I go about doing this? Could I arrange to come down sometime and see someone or have a go? I have forwarded your enquiry on to several Key Members and hopefully they will get back to you individually to invite you down to sessions that they attend. You are more than welcome to come down to any of the club sessions. However, now it has got colder the club has moved its main coaching session indoors to Westminster Road Pool. All equipment is included with the pool fee. - Wednesday night is the best night for beginners. Can someone tell me in simple terms how to get on the clubs message board through the Google set up? In a pure C-to-C roll, you sweep the paddle out to 90 degrees. At this point, your body is twisted out to the side in a C shape with your paddle on the surface of the water (a good, long torsoed C-to-C roller can reach the paddle above the water and slap the surface). Then with a powerful, smooth and single motion, you roll the hips going from a C pointing to the right (left) to one pointing to the left (right). The final position looks like a high brace. See our rolling pages. I am confused about all the different types of canoes. Is there a simple way of explaining it? Try our pages on the different canoe and kayak disciplines. I would like to start canoeing. What is the best way to begin. One of the best ways to start is to go on a course. There are several teaching centres in Merseyside. Try Mersey Watersports Centre in Kings Dock or Sefton Youth Service based at Crosby Marina. Alternatively you join us and learn to paddle under the guidance of one of our many coaches. Are there any other clubs in the Liverpool area that offer coaching? There are several local clubs, besides ourselves who cater for beginners. Click here for details. Can you tell me what a boof is? This is from the glossary in Classic Northeastern Whitewater Guide: The Best Whitewater Runs In New England and NewYork-Novice To Expert (1998) by Bruce Lessels, Appalachian Mountain Club 3rd edition, pg. 369: BOOF-A technique used to run a steep drop that may be shallow at the base. By leaning back and running the drop at an angle, the boater can land flat on the hull with a resounding "BOOF!" and avoid pitoning on the rocks at the bottom. Boofing drops higher than about 10 feet can be hazardous to your spine. Boofing is a whitewater paddling maneuver for going over drops whereby the paddler jumps over water hazards known as holes at the bottom. The two main components are acceleration and a flat landing. One can boof a waterfall in a direct fashion by speeding up and controlling the angle of the boat so that it lands flat downstream, beyond the hole created by the waterfall. One can also boof a rock in order to get a better line, which entails bouncing off a low rock just before going over the drop. Again, the objective is a flat landing beyond the water hazard. Such a rock is often called a "boof rock".